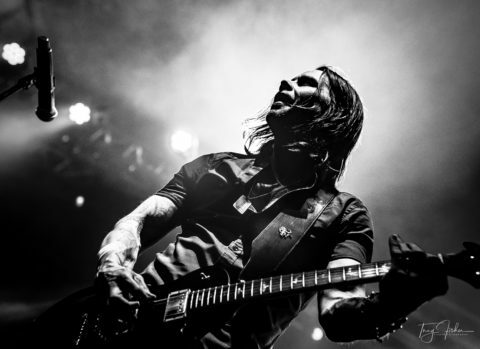 I was lucky enough to catch one of the greatest contributors to the world of Rock music, not once, but twice in as many days as Alter Bridge’s tour stopped in Central Florida. 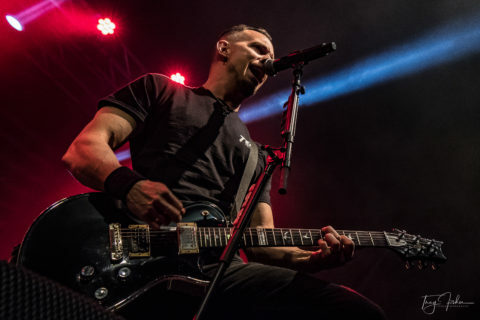 After Day 1 at the House of Blues in Orlando, Day two of ‘The Last Hero’ tour arrived in St. Petersburg on Saturday, November 25, 2017, at Jannus Live. 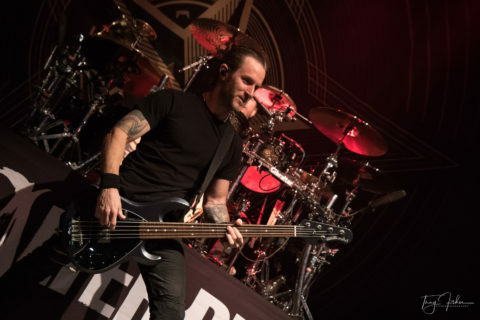 I found myself at the venue early and was able to take part in the Alter Bridge meet and greet after a thirty plus minute sound check/jam. “Broken Wings” was decidedly the crowd favorite and the guys took pictures and signed everything for the fans. Definitely not your standard meet and great. A couple of hours later the doors opened. 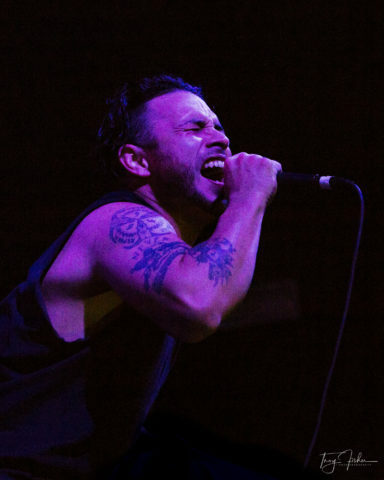 Sons of Texas was first on the stage and the got the crowd ready with their hard-hitting heavy metal. 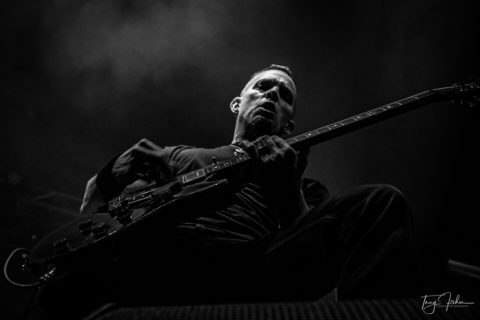 ‘Beneath the Riverbed’ being a favorite of mine. 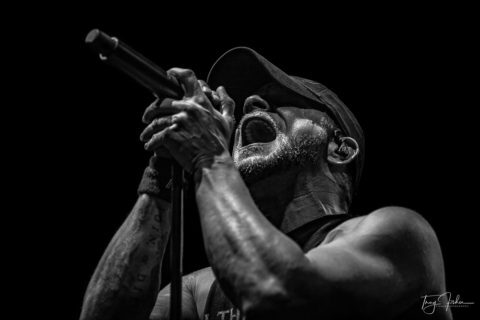 All That Remains performed other fan favorites including their cover of “The Thunder Rolls” by Garth Brooks,”What If I Was Nothing” and also the title track of their current album “Madness.” It’s so refreshing to see a band unafraid and unapologetic with their lyrics covering controversial topics. 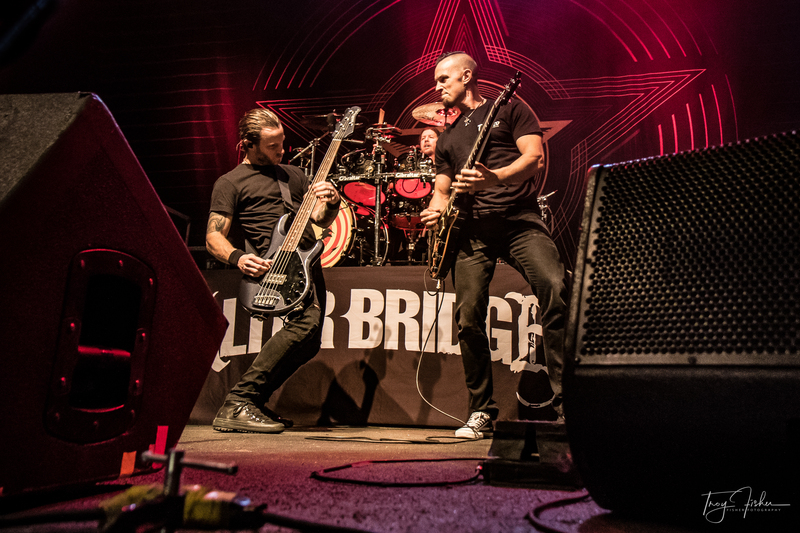 Alter Bridge has always met and exceeded my expectations for stellar entertainment. 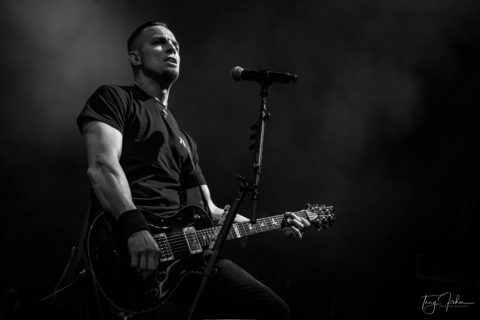 Alter Bridge consists of Myles Kennedy (Vocals, Guitar), Mark Tremonti (Guitar, Vocals), Brian Marshall (Bass), Scott ‘Flip’ Phillips (Drums). 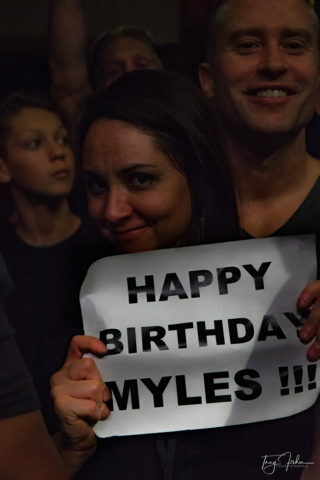 Myles’ birthday is November 27 and there was a sea of signs wishing him one on Saturday Night. Alter Bridge is on tour in support of their latest record, The Last Hero and songs that highlighted the night were: “Metalingus”, “Addicted to Pain”, “Isolation” and “Show Me a Leader.” It was an 18 song set that spanned their 13-year career. 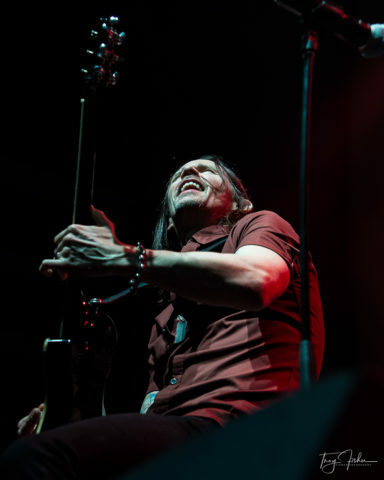 Myles Kennedy once again proved that he is one of the best singers in the industry and that what you hear in the studio is what you hear during a live performance, which is rare these days. 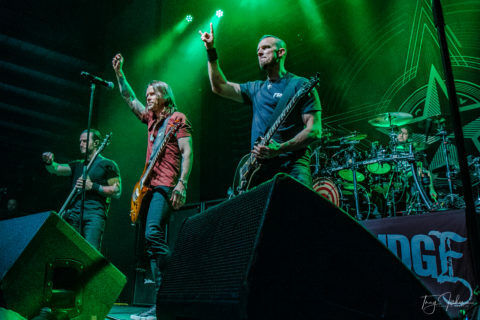 It seems like backtracking is being used by a bunch of bands these days, but it doesn’t seem that Alter Bridge subscribes to using them. 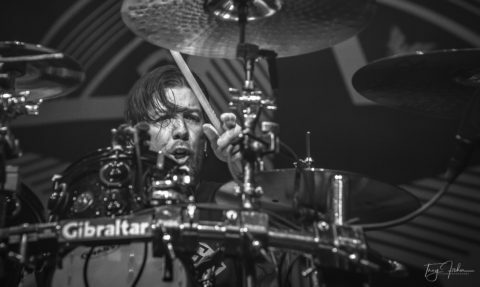 One of the coolest features of their show is the dueling guitar solos of Mark and Myles! 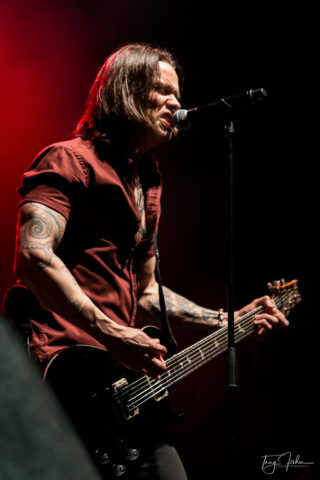 No matter how long the guys in Alter Bridge are apart while doing their other projects, when they are on stage, its musical magic. Not a cliche’, just true pros shining in their moment. In conclusion, The Last Hero tour is an exceptional concert experience. This tour package delivered audience members goosebumps and smiles and that’s always a good sign. All three of the bands impressed tonight and I look forward to seeing any of them again.